The FIA World Endurance Championship officially changed its 2018 schedule, moving the 6 Hours of Fuji back a week. The changes conveniently came after Formula One star Fernando Alonso announced he’d race the entire WEC season that didn’t conflict with his F1 schedule, and Fuji conflicted with his F1 schedule. That moves the Fuji race date from Oct. 21 to Oct. 14, as to not clash with the F1 United States Grand Prix. It was the only WEC event that had F1 overlap in 2018, and two days after Alonso announced he’d try a nearly full season of endurance racing with Toyota in WEC this year, reports came out that Fuji requested a date change to accommodate his schedule. His star power could give a big boost to a suffering series, but even then, an entire race change seemed like a stretch. Jalopnik contacted both WEC and Fuji Speedway at the time of the reports. WEC declined to comment, and a spokesperson from the speedway said Fuji did not request a date change—changes are WEC’s decision, the spokesperson said. That draw is obviously Alonso, but Jalopnik asked the WEC spokesperson for confirmation just to be clear. The problem with the new race date is that this isn’t the first change to Fuji’s spot on the calendar. It was originally supposed to take place on Oct. 14, but was moved back as to not take place on the same weekend as IMSA’s Petit Le Mans. Since the two series are similar, some drivers race and have contracts in both, and the revision isn’t going over well with everybody. At least somebody’s happy, right? “We work always to protect the interests of the championship and this is first and foremost what we took into consideration. How could we have someone like Fernando Alonso in our paddock, racing for Toyota and say we are going to Japan without him in their car? 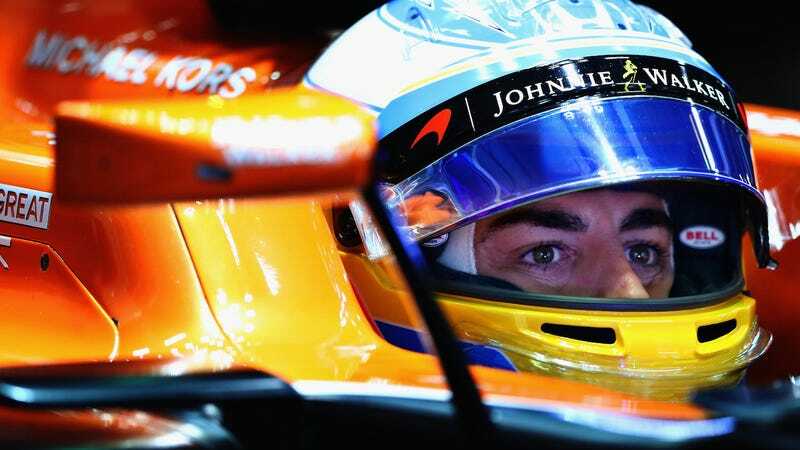 For Japanese fans, to respect what Toyota is doing, and for the championship as well…Alonso is racing for a World Championship and to win that he can’t miss a race. It was logical and if you ask the Japanese fans they are very happy. “We understand this causes trouble for some other drivers and my hope – a big hope – is that maybe that IMSA can find a way to move the date because we have done it before and it’s possible. ... We of course informed IMSA about this weeks ago and they fully understood – believe me they completely understand the added value that a driver can bring. WEC did ask IMSA to change the date of this year’s Motul Petit Le Mans. IMSA did respectfully consider this request and explored doing so. So, there you have it—numerous drivers will get hosed to accommodate one driver’s schedule.